The recently installed 80 kWp solar PV system produces enough power to cover 34% of this day’s energy use. Energy savings this month: US$ 1,250. Gray colour represents solar energy production. 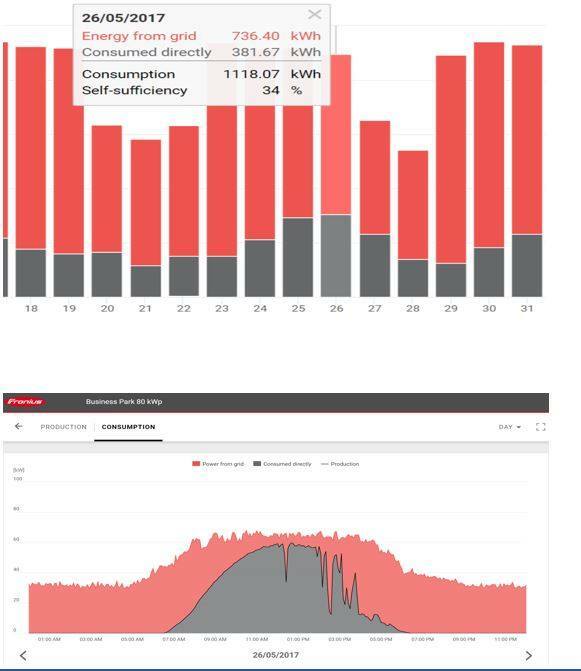 Red colour represents remaining energy requirement to be purchased from the grid. This system has been equipped with European made Fronius and SunRise solar modules.